Experienced commercial property sales team. Maximize ROI when selling property. 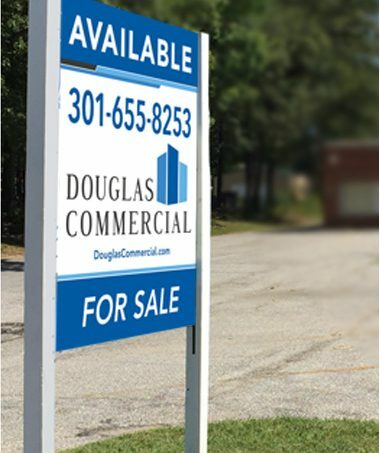 At Douglas Commercial our team put’s their experience and network to use hustling to sell your property. We can help you minimize the time your property is on the market by utilizing our market and location knowledge, analytics, suitable property, comps, emerging trends, and our negotiation skills to find a buyer that is a great match for your space. Our services include helping buyers find the right home for their business, and because we know the local market so well and what you have to offer, we are confident we will identify the right buyer. We offer turn-key project management of the entire sales process, from competitive market analyses that will help us perfectly position and market your property, to custom marketing outreach, to the last phase and detail of contract negotiation and preparation. Our marketing outreach will emphasis your property details, including your location, size, building condition, local businesses in the area, and recent sale prices of comparable properties. If a prospective buyer wants to see your property on a Sunday, or you have a question for us after hours, we are available. Once we have negotiated the deal best for you and the buyer, we put our extensive accounting background to work preparing the contract. Tell us about your property and we can immediately begin to give you an idea of how we will creatively approach the sale, draw qualified buyers, and help you achieve the highest sales price possible. If you are not ready to sell your property, let us lease it for you! WANT A FREE PROPERTY ANALYSIS TO GET STARTED?